Jeri Theriault’s latest chapbook, In the Museum of Surrender won the 2013 Encircle chapbook contest. Her full-length collection Radost, My Red was released in 2016 by Moon Pie Press. 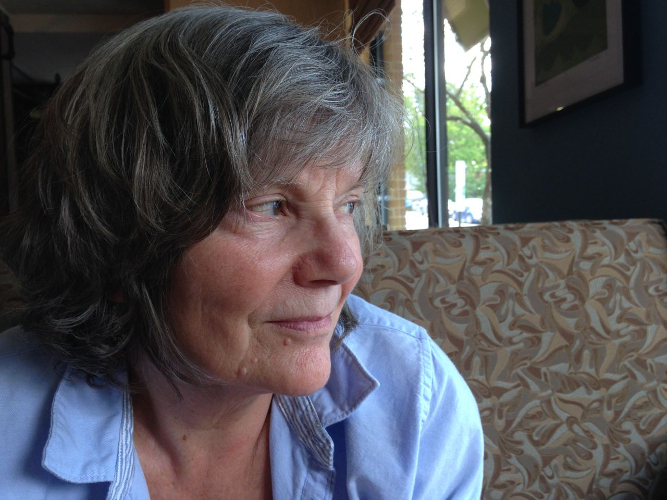 Her poems have appeared in numerous journals and anthologies including Beloit Poetry Review, The Atlanta Review, Rhino, The Paterson Literary Review, The Café Review and The American Journal of Poetry. A three-time Pushcart Prize nominee and a Fulbright recipient, she holds an MFA from Vermont College of Fine Arts. Her teaching career included six years as the English department chair at the International School of Prague. beauty of lift & grab. where my brother served as altar boy. in store. Dominus is Lord & Master. & wimple, amplitude of now & not. Magdalene, a history I refused. arched doors, this place moves me still.